San Fernando Jail Bail Bonds | Arrest, Jail and Bail Bond Info. San Fernando Jail Bail Bonds | Arrest, Jail and Bail Bond Info. If a friend or loved one has been arrested and taken into custody in the City of San Fernando, it is likely that they were taken to the San Fernando Police Station Jail. Our company has years of experience working with San Fernando Valley law enforcement and if you’d like to get your friend or loved one out of jail quickly, we are the best! Located in the northwest portion of the San Fernando Valley, the City of San Fernando is named after the nearby Mission San Fernando Rey de España; one of the most famous historical places in all of Southern California. A licensed, professional bail bondsman in San Fernando is available 24/7 to take your call and quickly answer any questions you may have. If you’d like to speak with us, we can be reached toll-free at 818-425-3325 or toll-free, 855-414-BAIL (2245). 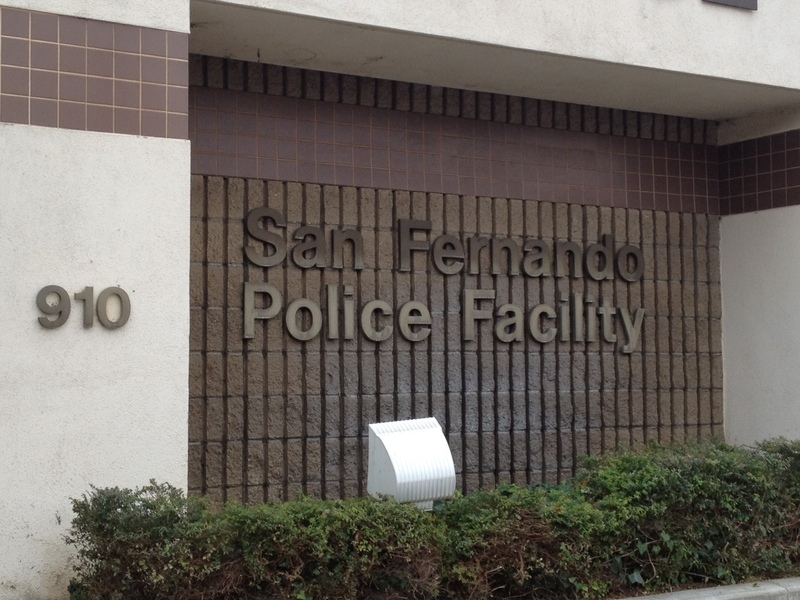 The San Fernando Police Station is staffed by 35 sworn officers and 25 civilian employees. When an arrestee is brought to the station, the first thing that will happen is that they will go through the booking and processing procedure. After that, bail will be set for those who are eligible and the inmate will often remain at the San Fernando Jail until their arraignment in court. Sometimes, though, when the jail gets overcrowded, the San Fernando Police will transfer inmates to one of the larger holding facilities in downtown Los Angeles. Male inmates are transferred to Twin Towers Correctional Facility while females are sent to the Lynwood Jail. It’s often best to begin the bail bond application process as soon as you find out that the individual has been arrested in order to avoid this transfer. Once it occurs, the inmate will have to spend an additional 12 to 24 hours in jail as they are processed into the new facility. When a judge sets bail, he or she is essentially saying that it’s possible for the inmate to be released from custody, prior to their trial date, if someone is willing to put up money to ensure the defendant shows up for court at the appointed date and time. Let’s say bail for an inmate is set at $10,000. That means that the inmate can be released if someone is willing to give $10,000 to the court clerk to hold onto as the inmate awaits his or her day in court. Once that date comes and goes, the money will be refunded (minus any relevant court fees) to whomever pays it, provided that the inmate shows up. If not, then the money is forfeited to the court and a warrant will be issued for the defendant’s arrest. Another added benefit of using our service is that you can do it from anywhere, at any time. Thanks to modern technology, you never have to leave your home or office to bail your friend or loved one out. We can easily send you the bail bond application forms and indemnitor’s agreement via fax or email. Once you fill it all out and send it back, we will dispatch one of our agents to the jail and your friend or loved one will be released a short time later. We accept major credit/debit cards including American Express, Visa, Master Card and Discover as well as cash, checks, money orders, bank account transfer and money wire. If you’d like to finance your bail bond, we have several flexible payment plans we can offer you. If you would like additional information regarding San Fernando Jail bail bonds, please feel free to call and speak with a bail bondsman now. Our offices are open 7 days a week, 365 days a year to take your call. We’re here 24/7 at 818-425-3325 or toll free, nationwide at 855-414-BAIL (2245).